I went through the interview process for this study and wanted to share the information with you guys. 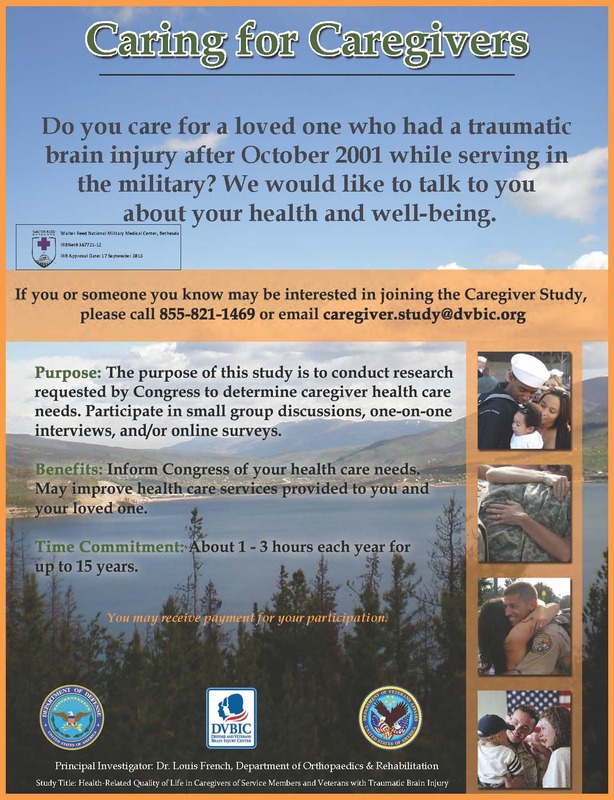 This is a study specific to Caregivers of those with Traumatic Brain Injury after 10/2001. This information will be used to inform Congress and will last up to 15 years. They are still trying to enroll the 600 caregivers they need. If you are interested, please get in touch with them. I understand better than anyone that we all already have too much on our hands but this is information that our country’s leaders need to get and digest. It is an opportunity to let them know what is working and more importantly, what is NOT working. I think its worth the effort!